20121002-MissT'Chen Lost in Hurricane Isaac, Reunited from 800 miles away! It's an inspiration when so many people work together to bring about a miracle like this one. 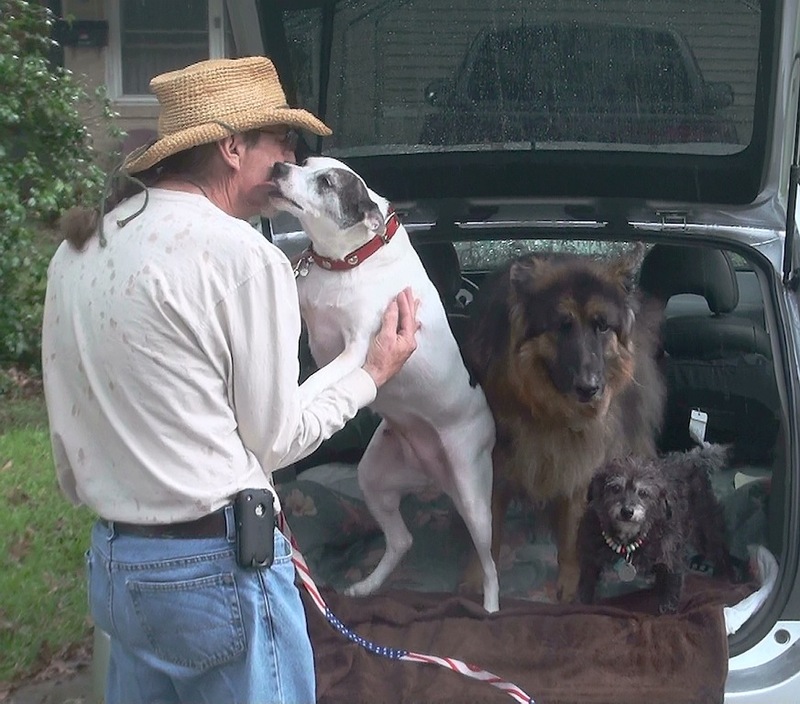 The victim was "Miss T'Chen", a young female 40-lb rat terrier who lived in Baton Rouge, Louisiana with her human father Fred who adores her and two big strapping young canine boys (black lab mixes) who worship her as their matriarch. She went out the front door of their home after dark just as the heavy rains of Hurricane Isaac hit the front yard in full fury, and in the confusion and flooding, she could not find her way back home. Most people had evacuated the area, and it was impossible for Fred to search for her during the hurricane. Some time later the next day, a flood rescue worker in the area found her. With no power or phone service and many roads closed, there was no place open where the kind man could take her, so he opted to take her home with him in his truck -- all the way to Geneseo, Illinois, some 800 miles north! There she received the best of tender loving care from the folks at Henry County Animal Shelter, as they searched the web and Facebook and by all other means they could think of to find her home. Meanwhile, Miss T'Chen's daddy Fred was desperate. How regrettable that he had not had an ID chip implanted in her! He reported her missing to the local animal shelter, and they uploaded her picture and description to a Facebook page of dogs missing from Hurricane Isaac. The folks at Geneseo spotted this and recognized her, and they made the connection to Fred. That was about two weeks after Isaac. After the relief of knowing she was alive and well (but 800 miles away), now the challenge was how to get Miss T'Chen home! Read the article and see all the photos and videos here!